How Does the “Cloud” Really Work? Cloud Computing is becoming increasingly popular among both businesses and consumers; but what is the “Cloud” and how does it work? 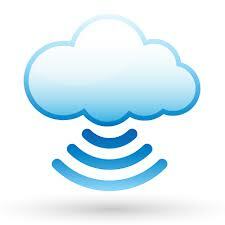 A Cloud Computing System can be divided into two parts: the Front End and the Back End. The Front End consists of either a user’s computer or a network of computers connected to the Internet. The Back End is comprised of many different servers, computers, and storage databases that are all interconnected; these components, functioning together as a whole, form a “Cloud”. A central server exists to administer the entire system, constantly monitoring it to prevent failures. All these different components interact and communicate with each other through the Internet, forming a web of inter-connected, redundant devices. This entry was posted in Android, Apps, Google, Google Apps, iOS, Web and tagged cloud, computing, internet, storage, wifi, wireless on April 10, 2014 by .